This is an undated photo of 18-year-old Marcos Aviles. 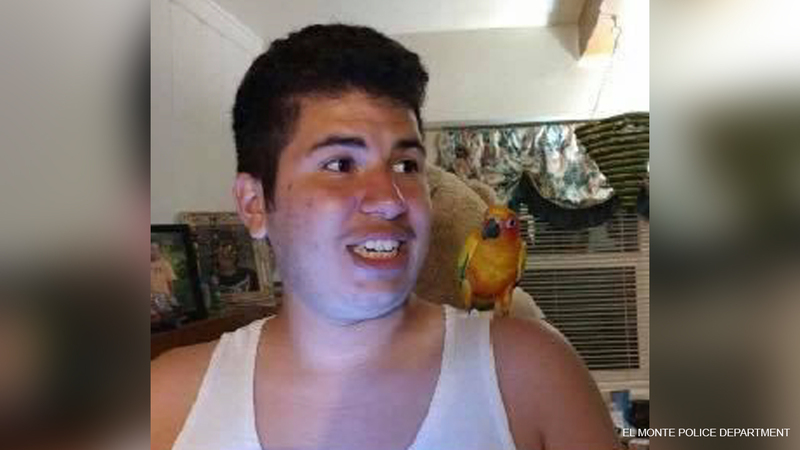 EL MONTE, Calif. (KABC) -- An 18-year-old man with autism who was reported missing Saturday night from the El Monte area has been located, police said. Police had asked for the public's help in finding Marcos Aviles. Aviles was visiting family at 12202 Fineview Street when he walked away from the home unnoticed at about 10 p.m. Saturday. Family members told police Aviles has autism, has the mental capacity of a 2-year-old and is non-verbal. Aviles was last seen wearing a gray and green colored shirt, tan pants and gray shoes while carrying a bag with the United States flag printed on it, authorities said. Police said it is possible Aviles boarded a public transit bus headed for the city of Norwalk. Sunday evening, police said Aviles had been found in Pomona.